The Lokrakshak Bharati Board announced examination notification for Police Constable Competitive exam. Board activated link for download Gujarat Police Constable Call Letter. Candidate may download and print their hall ticket from this page below. The Lokrakshak Bharti Board published earlier published advertisement No. LRB/201819/1 to fill for various Class-3 posts. 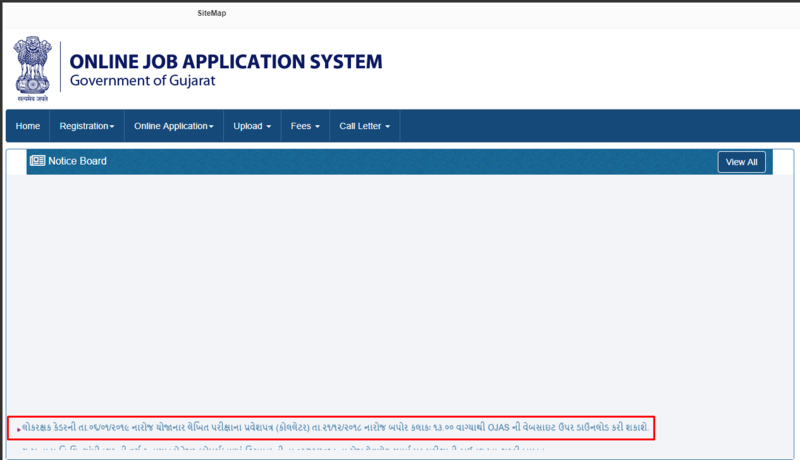 LRB invite Candidates through online application on official website ojas.gujarat.gov.in. A huge numbers of candidate applied for these posts. Now commission announced Gujarat Police Constable Call Letter. 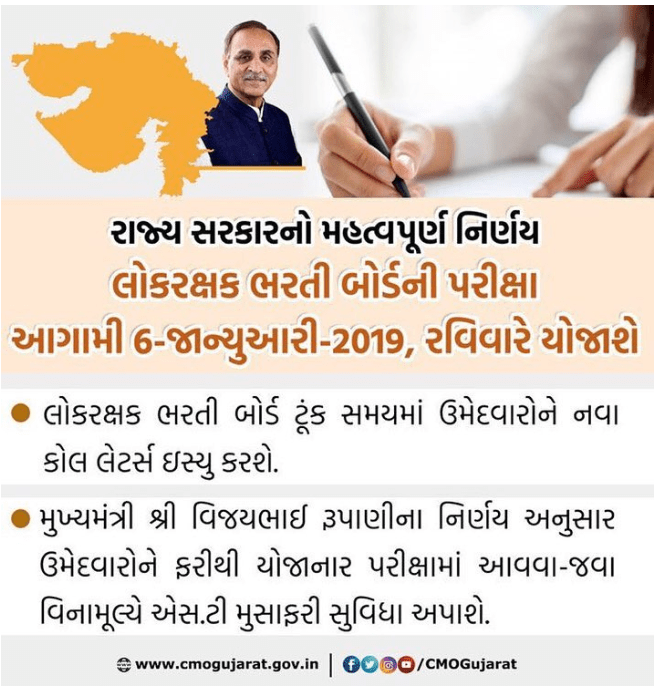 Candidate may download their Call Letter from official website ojas.gujarat.gov.in. Here we also provide a direct link on this page for download lrbgujarat2018.in Call Letter. Gujarat Police Constable Call Letter is candidate’s Entry Pass to give Mains Exam. Candidate may read instruction well before download Hall Ticket. Students did not have the Admit card at the time of Examination he/She will not be able to give the Exam. The Call Letter has details of candidate photos, date of birth, seat number, application number, exam date, exam time and other information. Candidates are advise to read all instruction well before download their LRB Admit Card. Candidates should not enter in Exam without Photo Id Proof and Hall Ticket. Search Police Constable Call Letter. Enter Birth date and Conformation number. The Gujarat Police Constable LRB Result going to be announced soon on its official website next week. Candidates had appeared in LRB examination can check Gujarat Police Result, Merit List & Cut off Marks on its official website lrbgujarat2018.in. Applicants who successfully clear written exam they all are eligible for Physical Examination which will be held in month of February-March. As Per Sources the Gujarat Police constable LRB Result going to be announced soon on next week. The board announced the released date of LRB Result on its official website. The Bharti Board successfully conduct exam on Sunday, December 2, 2018. Gujarat Police Answer Key is expected to be released today. However, till now, no update is available on the official website of the LRB Bharti Board. Last year, the Board had released the LRB Answer Key in two days after the completion of the exam. The objection form and last date to submit the objection can be check from the website very soon. If Candidate have any objection regarding Answer Key they may contact corporation office with necessary proof on or before given last date. Candidates are advise to bookmarks this page and be regular touch on this page for get more latest updates about Gujarat Police Constable Call Letter 2018- OJAS LRB Admit Card.